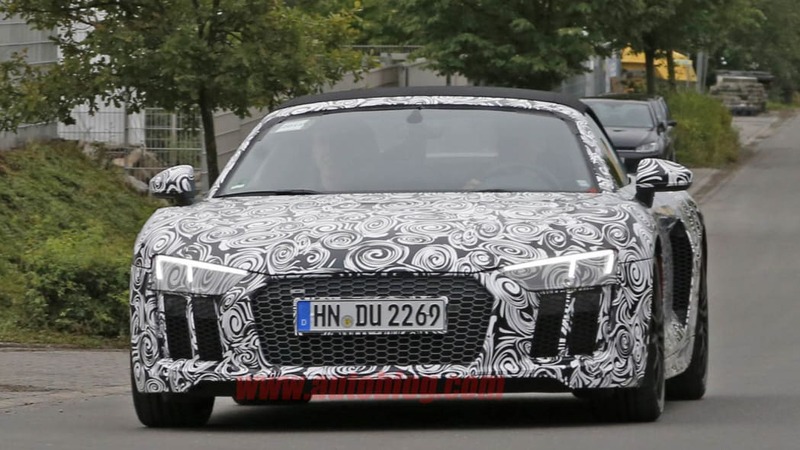 After Audi took the wraps off the new R8 coupe at the 2015 Geneva Motor Show, we knew it would only be a matter of time before the convertible version arrived. 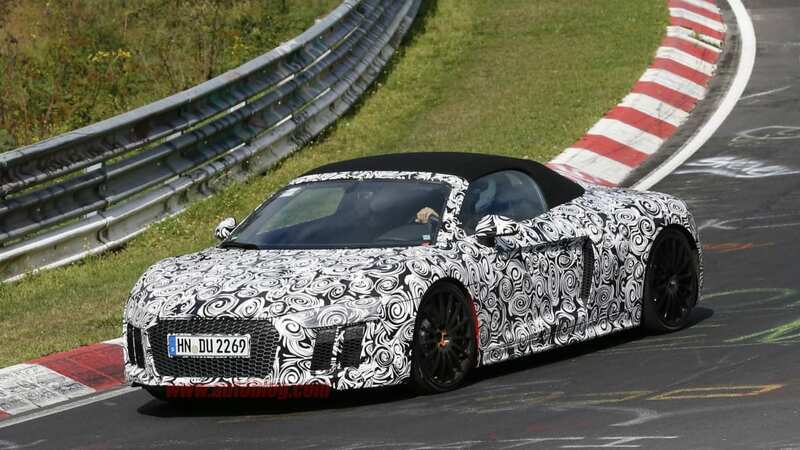 Now, we've spotted the droptop during testing on and around the venerable Nürburgring Nordschleife in Germany. 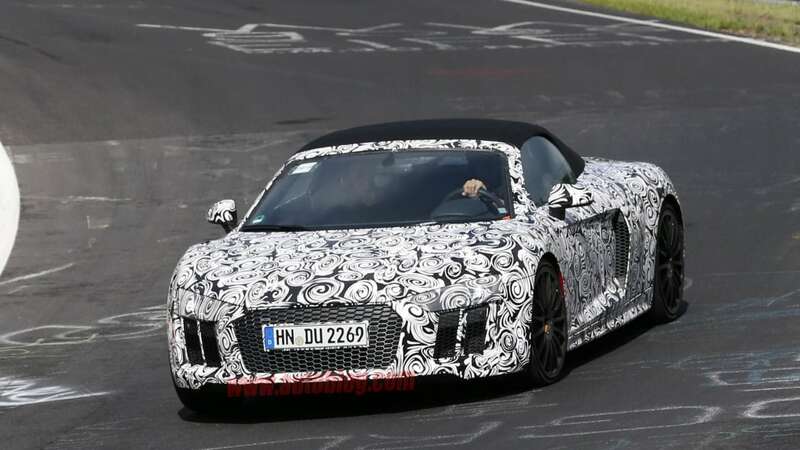 The new Audi R8 Spyder is expected to closely mirror the fixed-roof supercar we've already seen. Only instead of a tin top, of course, it'll have a folding fabric roof mechanism. This goes against the recent retractable hardtop trend, and the featured is used by the Ferrari 488 Spider and McLaren 650S Spider. 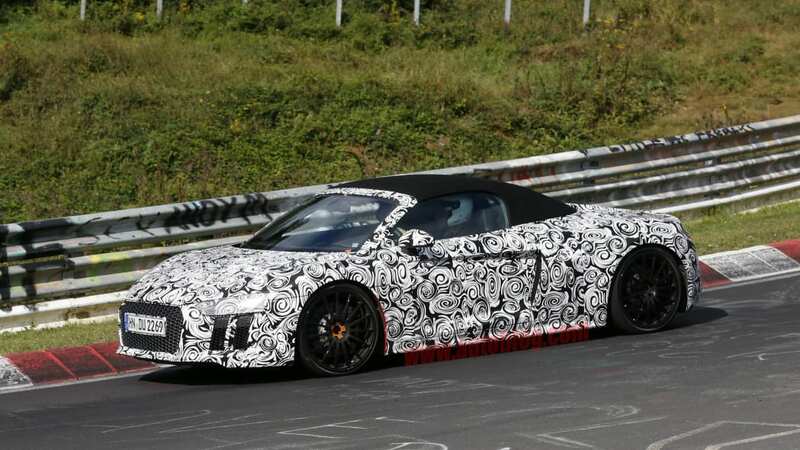 Some revised air vents appear to be part of the R8's convertible package, as well. 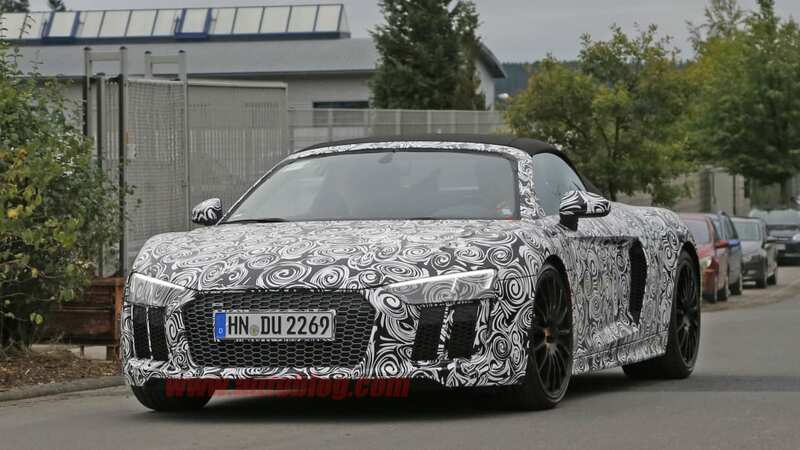 Otherwise, we can anticipate the same specs as the R8 coupe. The latest model ditched the previous version's V8 engine in favor of 10-cylinder options: a 5.2-liter V10 with either 533 horsepower in "base" spec or 602 hp in the V10 Plus model. Both drive all four wheels through a seven-speed dual-cluch transmission. 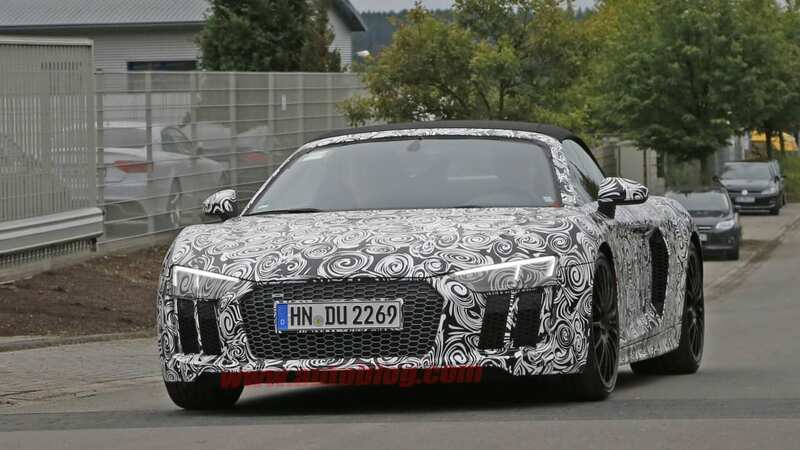 The jury's still out on whether Ingolstadt will slot a smaller engine option into the R8, particularly for markets where tax brackets are determined by engine displacement. But whatever the coupe gets, the convertible is likely to offer it as well.